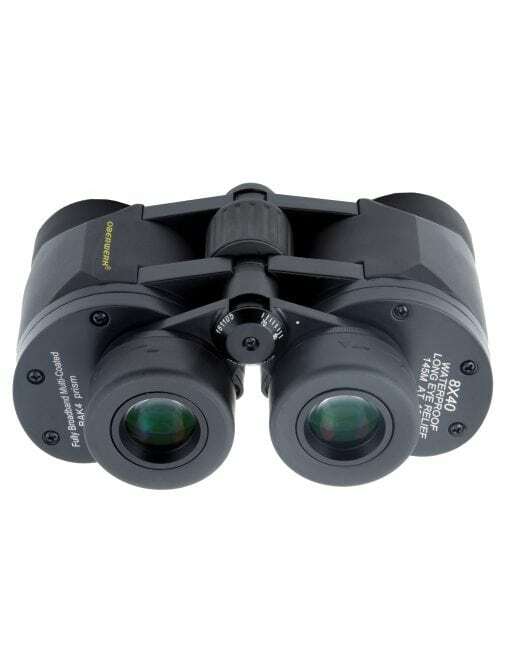 This extra-rugged waterproof binocular is noted for it’s extra-wide 8.4° FOV, and it was named “Editor’s Choice” by SPACE.COM. 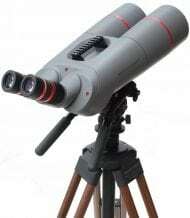 Ideal for birding, hunting, surveillance, boating, and of course astronomy usage. 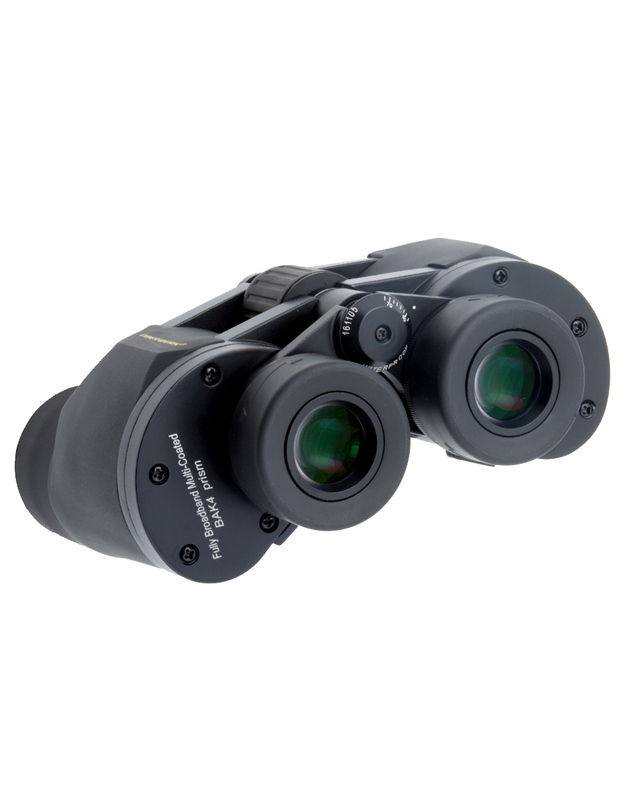 Oberwerk Mariner binoculars offer excellent image quality at a moderate price. In fact, SPACE.COM recently reviewed the 8×40 Mariner and named it “Editor’s Choice“! 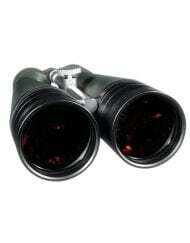 These extra-rugged waterproof binoculars are ideal for birding, hunting, surveillance, astronomy, and of course nautical applications. They are available in your choice of 8×40 and 7×50. 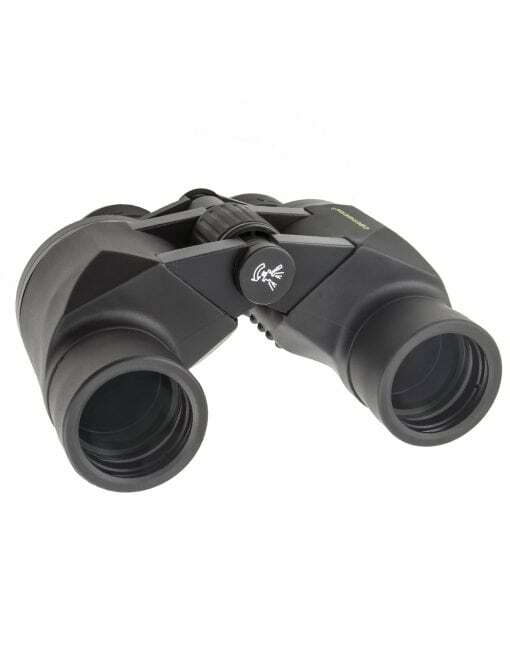 The 8.4° 8x40mm has one of the widest field of views available from any modern binocular. All air-to-glass surfaces are fully broadband multi-coated to decrease light loss due to scattering and reflections, a feature normally found only on binoculars with much higher price tags. 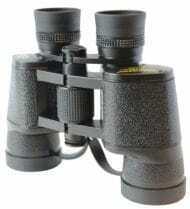 The Oberwerk Mariner Series binoculars feature heavy-duty rubber-armored metal construction, oversize BAK4 prisms with shockproof mountings, extra-rigid and precise center-focuser, right ocular diopter adjustment, twist-up eyecups, brass 1/4-20 tripod adapter threading, extra-rugged nylon padded carrying case, caps, and our premium heavy-duty denim strap. This my second Oberwerk purchase review to date. 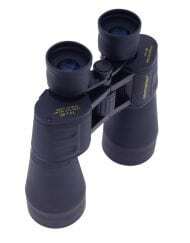 The other week I wrote a 5-Star review of the 10X60 binoculars I recently purchased and was so impressed by the overall quality of those binoculars I decided to get a pair of 8X40 as well. 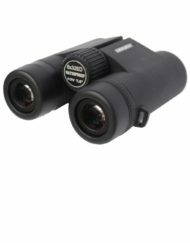 So this is my 2nd Oberwerk binocular review and specifically for the 8X40 Mariner binoculars that you will find below. So I’m the guy in the 10X60 review who claims not to be an optics expert in one of those other two reviews. But I do have (5) pairs of binoculars all of which are MIL SPEC or a military style binoculars (BAK4 prisms) and none of those have zoom capabilities whatsoever. 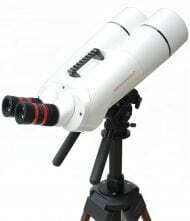 In that other review I forgot to mention I also have a pair of Zhumell Tachyon 25x100mm Astronomy Binoculars that I picked up recently too and by the way I absolutely love those Zhumell binoculars, but I came back to Oberwerk for a 2nd purchase because they are just that good. Didn’t want to lose out on some kind of a sell out event not knowing the extent of manufacturer’s inventories or what might still be in their production pipelines. The 8X40s still have a bottom lens cap system best left in the camera bag and not taken into the field otherwise the overall fit and finish of the binoculars is outstanding. 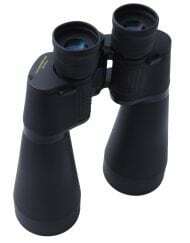 These will be my every day binoculars. I will be keeping these on hand or in the truck. I may even get a Swarovski harness for these as I intend to use them a lot and don’t yet see Oberwerk offering harnesses yet. O.K. so I brought up binocular harnesses in a product review on what some might consider a compact pair of binoculars so let’s talk about image stabilization. With the 8X40s you don’t need it. In the old days image stabilization meant using a tripod and/or today it might also mean some kind of built in electronically stabilized imagery too. Its not necessary in a 8X40s or 7X50 magnification and so I don’t even think about stabilization until I switch up to 10X and above magnifications. Harnesses are cool and are more about being on the go than about stabilization. I’m taking these 8X40s with me everywhere I go. 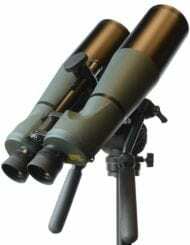 I don’t own a pair of fashionable SPORT type (roof prism) binoculars I prefer a military style (with bak4 prisms). 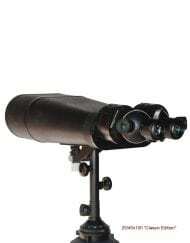 Sport type binoculars are lighter in weight usually than a comparable magnification in a military style of binoculars but the field of few is usually bigger with a Mil Spec style. The see through experience on these 8X40s is the best of my entire collection. Buy the 8X40s first! This is a review of the Mariner 8x40mm WA. 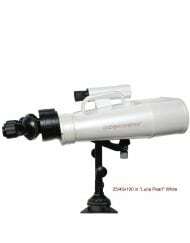 I had a chance to use these binos while boating, for general astronomy and for spectating at the 2018 Canadian Grand Prix this past weekend. 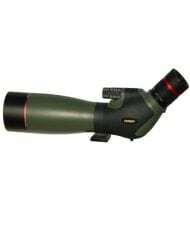 BLUF, these binos represent outstanding value and are very good quality. Their key advantages are brightness and very good optical quality in the middle of the field of view. They also seem very rugged, but I did not test their ruggedness. On the less favourable side, the edges of the field of view were quite fuzzy, limiting the useful FOV by perhaps as much as a full degree but this was not noticed for any practical purpose. The other downside is the lack of a miliradian reticle. For a marine binocular this is a useful feature that aids navigation and costs little to add. It is a feature I would pay an extra $50 for. However the binoculars are useful while sailing without it. But I would ask that a bino strap with closed cell foam in a bright colour be included for all Marine binos so that boaters will actually use their binos rather than keeping them safe on shore. 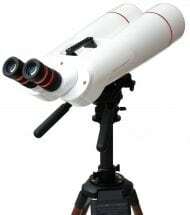 I am an amateur astronomer but by no means an expert on optics. I do own a number of pairs of binoculars including Canon image stabilized binoculars (12X36 and 15X50.) I have been impressed with Oberwerk products that I have encountered at my astronomy club’s public observing sessions and decided to give the Mariner 8X40s a try. I keep them in a first floor laundry room closet as a grab and go pair for quick sessions in my yard. Construction of these glasses are, in my opinion, robust. All adjustable parameters function flawlessly and star images are tack sharp, perhaps the sharpest of all my binoculars. I have zero buyer’s remorse.